The new Metropolitano BRT system will be a more efficient, modern, safe and environmentally friendly alternative to the traditional combis (mini-buses). Photo: Jean-Pierre Jeannin. From 2006-2007, I spent one year living in Lima, Peru and researching its public transit system. Anyone who’s visited Peru’s capital understands what an adventure this was. Some of my most vivid memories of that time are of clinging to my combi seat, salsa music blasting, as the driver wove crazily through traffic, racing with other mini-buses to get to the next passenger. ‘Baja, baja!’ I would yell when we reached my destination, and I would jump off the barely paused vehicle, sometimes in the middle of lanes of rushing cars. So Lima is in my thoughts this month as the city prepares to open its new bus rapid transit (BRT) system, the Metropolitano. Construction began during my stay in 2007, and planning years before that. Since then, the project has endured political changes, a massive citizen opposition campaign, technical problems, financial issues and resistance from existing transit operators. After all that, it is finally ready to open its doors. 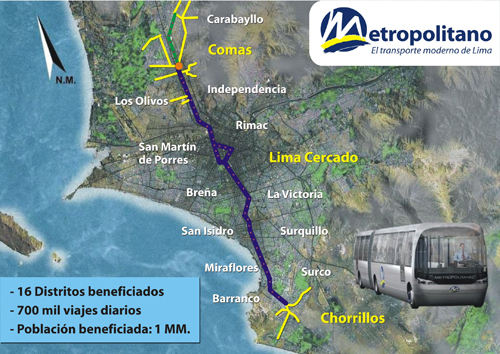 The Metropolitano is a 28-kilometer separated bus corridor stretching north-south through the Lima metro area and passing through its downtown core. Six hundred buses will service 35 stops. 300 of these will be articulated buses running on the trunk route, and more than 200 feeder buses will carry passengers from adjacent areas. The Metropolitano buses will be the first in Latin America to use natural gas, which should help the city curb its severe air pollution. Passengers will pay with smart cards, which offer different rates for students, children, Metropolitano workers, and the general public. The system will be accessible to those with limited mobility, as bus stops, terminals and the central station platforms will be level with bus doors. Schedule information will be posted at all stops. The Metropolitano’s projected ridership is 700,000 passengers per day. Some experts are predicting that this will be the most heavily used BRT trunk line after Transmilenio in Bogota, Colombia. 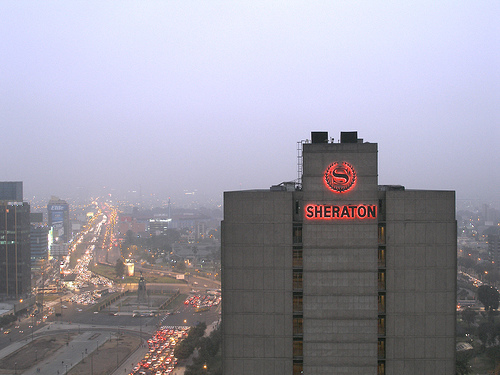 Behind the Lima Sheraton, located in the city center, the Via Expresa stretches to the west. This busy corridor will house part of the Metropolitano BRT line. Photo by PauloVicente. Local transit advocates are anxiously awaiting the launch of the system. The director of Protransporte, the government agency implementing the BRT, has not specified an opening day, though it is supposed to be sometime this month. The stops are 90% done and smart cards will be on sale soon. Meanwhile, the news media is focusing on the cost inflation the project has experienced. And just two weeks ago, a station was vandalized, possibly by a gunman. I hope its kickoff will be the end of the rough road the Metropolitano has experienced. In a city suffering from paralyzing congestion due to an oversupply of taxis and unregulated transit vehicles, acute air pollution from buses that are 20 years old on average, high rates of transit accidents (killing four people per day) and depressed quality of life – especially for low-income residents who spend hours each day commuting from outlying communities – the new BRT is an important first step. The system has been criticized an insufficient response to Lima’s chaotic transportation situation, but you have to start somewhere. What’s more, Limeños are deeply cynical about their government and its ability to affect real change when it comes to transit. If officials can make a success of this first bus corridor, perhaps they can restore some faith and build support for future investments. To attend to Lima’s long-term transportation needs, municipal leaders can continue to plan a comprehensive system that extends beyond this first bus line. When I was there, many of the decision makers I worked with seemed to conceptualize this corridor as an isolated project, without regard for how it might connect to future lines and other modes. Now, the discourse seems to be shifting, with more stakeholders talking about plans for a transportation system. An overall public transport system assessment is currently ongoing, and experts have already identified the next BRT corridor, from Callau (on the coast) to Ate (in east Lima). Additionally, the government has allocated $500 million to finish the city’s urban train line, started in the 1980s and never completed. It is being extended by 10 kilometers and may be inaugurated in 2011. 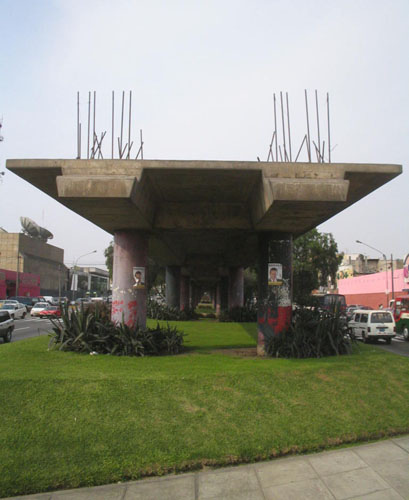 Lima's Tren Urbano platform, built in the 1980s but never completed, is slated to be finished in the next couple of years. Photo: Rachel in Peru. As these transportation projects move forward, planners should also look beyond conventional mass transit and improve non-motorized options. Good pedestrian and bicycle infrastructure is essential to Limeños’ safety and quality of life, and can facilitate public transit usage. With Lima’s growing wealth and a rising number of private vehicles, complementary strategies such as traffic calming may also be necessary. Policy makers must also regulate the city’s oversupply of taxis, which contribute significantly to pollution and congestion. In the near future, they may also have to deal with the growing congestion of combis and old-style buses in areas away from the BRT lines. The current rule is that no non-BRT buses can operate within 400 meters of the Metropolitano. This may have the unintended effect of increasing transit traffic on non-BRT arterials, and might require new regulations. 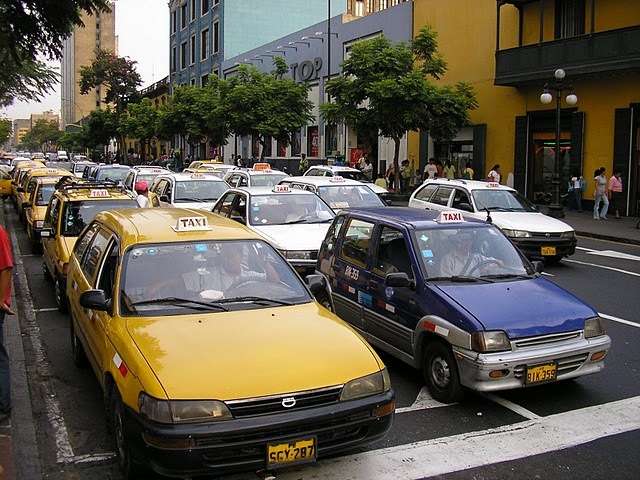 Lima suffers from an oversupply of taxis, which must be regulated to make serious change in the city's transportation system. Photo by Megan McConville. My research in Lima focused on how the Metropolitano can be a catalyst for the revitalization of the city’s historic downtown. Though Lima has its share of urban problems, the city retains valuable cultural and economic assets in its city center and elsewhere. With smart planning, the BRT line can bring new life to nearby neighborhoods, which will in turn boost ridership. Now is the time for municipal leaders to consider how they can promote transit-oriented development, whether through improving communication among the multitude of agencies involved in planning, integrating the land use and transportation planning processes, offering tax incentives, or streamlining development processes. A perfect place to start – a “pilot project” for this new model of coordination and well-planned development – would be the area surrounding the Central Station, the gateway to the historic center and a public space that was badly in need of improvement during my stay. 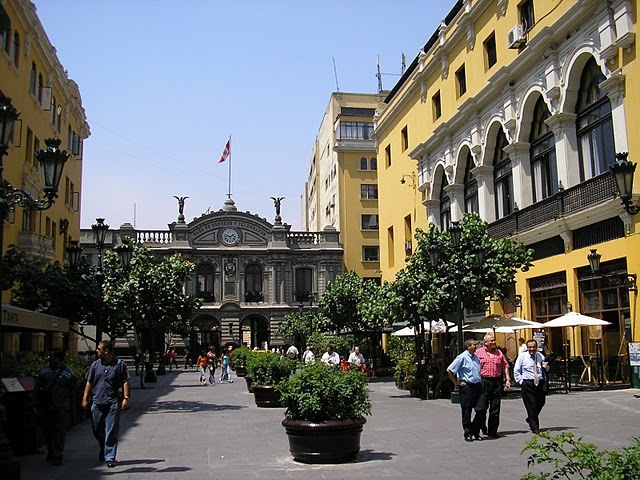 Parts of Lima's historic downtown look like this. Photo by Megan McConville. But most of the historic center looks more like this. Photo by Megan McConville. Some transit-focused development is now happening, though it is not clear how much is due to proactive measures on the part of the municipality. To be sure, officials have done a good job with the Central Station itself, a spectacular underground space that will house stores and kiosks (and is being inaugurated this weekend with a big fashion show). The opening of the Central Station may generate renewal of the adjacent area. The old civic center building has already been redeveloped as a large shopping center with an Oeschle department store (a historic Peruvian chain that has been dormant for decades), a shopping mall, a movie theater, a food court and offices. Finally, policy makers must make extra efforts to educate and involve the public, as illustrated by the conflict between the government and the residents of the historic enclave of Barranco, who were concerned about the impacts of the Metropolitano. Not having been involved in the planning process, the neighborhood group became upset when the construction of the bus way aggravated local traffic and they saw no end to the project. They also made claims that no environmental impact assessment had been carried out (one had been done years ago, but it had not been shared with them.) The situation spiraled out of control as the Barranco opposition became a campaign against the entire Metropolitano, gaining widespread publicity. 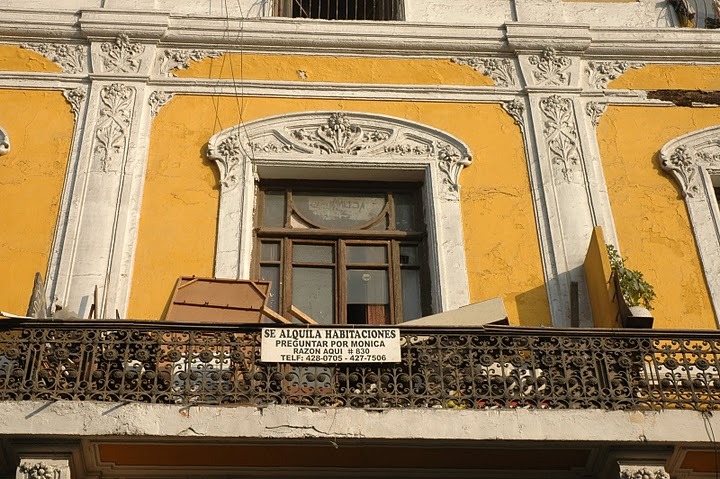 Though work eventually moved forward, the incidents in Barranco strained relationships between neighbors and the government and delayed the project. This unfortunate situation demonstrates the importance of communication. Officials must be diligent in alerting residents to the temporary inconveniences they may face because of transit projects but also in spelling out the project’s benefits, so community members know why they’re putting up with detours and traffic. Limeños badly want a better transportation system, and broadcasting the vision of efficient, modern buses that pollute less and reduce congestion will go a long way. Communication will continue to be crucial as Lima’s BRT system expands and the old combis and buses are pushed progressively farther from the main corridors of the city. A message of job creation, better working conditions and improved safety for operators will be key. 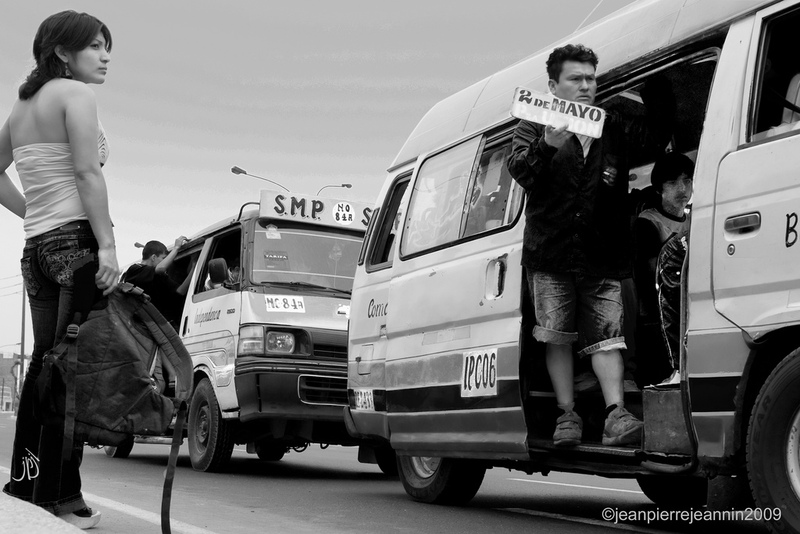 Neglecting education and public involvement is running the risk of strikes and road blockages. This is an exciting time for Lima, and, I hope, the beginning of a new era for a city that has struggled hard with transportation issues. The Metropolitano has the potential to make real change in this intriguing place that has so much to offer. The BRT line has already played a role in one achievement – several months ago, Lima was ranked by America Economía as the seventh best city in Latin America in which to do business – partly because of the coming Metropolitano. May this be the first of many new successes!